At the same time, online video is growing. New, video-friendly devices like iPads, smartphones, and even web-enabled televisions are dramatically increasing the hours of video being watched. Most significant is the sharp rise in the amount of time people spend watching information-rich, long-form video programs. 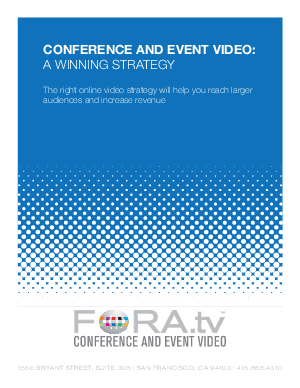 Moreover, a winning online video strategy creates a virtuous circle that year-over-year strengthens an organizer's ticket sales and sponsorship efforts.